My posts will be back on Saturday, January 11th, kicking off the New Year with more interviews from top ten authors of ebooks for children and teens. 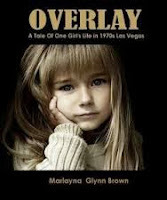 On November 23rd, author Marlayna Glynn Brown hit the number 7 spot in the Children's and Teen section of the Amazon Kindle store with her memoir, Overlay: The Tale of One Girl's Life in 1970s Las Vegas. Overlay is the first book of her completed trilogy. Marlayna is described as "an award-winning, best-selling nomadic memoirist, photographer, actress and yogi." She joins us today to talk about her book, her life, and of course, her e-pub success. What is your book is about? Overlay: A Tale of One Girl's Life in 1970s Las Vegas is ultimately a tale of survival. Hailed as the 'best suicide prevention tool ever created,' Overlay tells the story of a young girl's trials during her childhood and teen years growing up in Las Vegas. In an existence fraught with abuse, neglect and challenges, the protagonist manages to draw upon her inner strength and not only survive but build a happy, successful adult life. I published independently after unsuccessfully trying to land an agent after two years of effort. This self-forged path turned out to be ideal as I have total control over my work now, including marketing, sales and promotion. Intense, regular, daily marketing efforts combined with a well-written book. I promote this book, and my 6 others every single day. I interact on a very personal level with readers on my personal and business facebook pages, as well as by email and Skype. I've met some wonderful new friends this way! 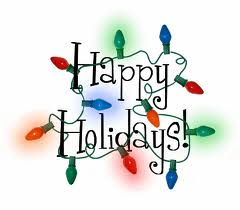 I also avail myself of a variety of websites, blogs and such that promote authors. Lastly, I invest in two advertising programs: Bookbub and eReaders - both of which significantly boost sales. I write about 12 hours per day. Right now I am working on three books: a travel memoir about my first six months abroad, a book about the next year spent taking my father's ashes around the world, and my first fiction book: a collection of short stories tied together by a single thread. Learn more about Marlayna and her books at her website or by following her on Facebook. And check the latest Kids' EBook Bestsellers List for the top ebooks to load that new ereader or tablet under the tree! On Saturday, November 9th, I saw Fledgling, by Nicole Conway hit the number 4 spot in the Children's and Teen section of the Amazon Kindle store. Here we are five weeks later and all that time it's been the sitting strong in that number 4 spot! 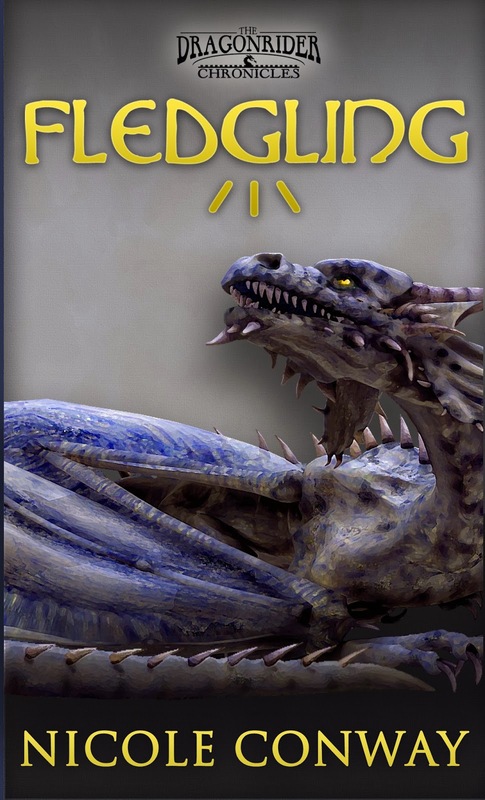 Fledgling is the first book of what Nicole is planning to be a trilogy, called The Dragonrider Chronicles. Let's hear about her book and its e-publishing success. Nicole, first tell us what Fledgling is about. Jaevid Broadfeather has grown up as a wartime refugee, hiding from the world because of his mixed racial heritage. He feels his future is hopeless, until a chance encounter with a wild dragon lands him in Blybrig Academy—a place usually forbidden to anyone but the rich and royal. But Jaevid’s case is special; no dragon has voluntarily chosen a rider in decades, so the proud riders of Blybrig must begrudgingly let him join their brotherhood despite his bloodline. Lieutenant Sile Derrick, a sternly tempered man with a mysterious past, becomes his instructor and immediately takes a peculiar interest in Jaevid’s future. While struggling through the rigorous physical demands of training, things begin to go awry. Jaevid witnesses the king’s private guards kidnapping Sile in the dead of night. When none of the elder riders are willing to help him, Jaevid begins a dangerous adventure to save his instructor. My target audience is 4th-9th graders, but I have become aware that a lot more adults are reading my work than I ever expected. Not that this is a bad thing--it was just a surprise! I believe e-format has made my book more readily available for adults looking for something light, fun, and fast-paced to read. Everything that has happened with FLEDGLING has been completely unexpected. I anticipated my old fans and readers might pick it up . . . but to be on a bestselling list? That was a complete shock, and I am extremely humbled and grateful. Right now I'm working on the sequel to FLEDGLING, titled AVIAN. I hope to have it ready for print this summer. I have three volumes planned in all for this series, and am very excited to get them all finished. I'm not sure it will ever fully replace print publishing, but I do see e-publishing on the rise. Kids and young adults are so adaptable to new technology, and with e-book apps now available for so many devices, it's become incredibly easy for them to get their hands on new publications. I definitely think e-format helps authors, especially new ones like myself who can't seem to get a foot in the door with the "big dogs." At least, it's certainly helped me. My experience has been that people are generally a lot more willing to take a chance on reading an e-book that costs only a fraction of what a printed book would cost them in a retail store. It makes them more willing and likely to try out books by authors they haven't heard of before. Learn more about Nicole and FLEDGLING at her website, or by following her at the Fledgling Facebook page and on Twitter. And have a look at the updated Kids' EBook Bestseller List where you'll find Fledging still in the number 4 spot, along with many other top ten books.